Not only are the actual job increases about half of what the Governor had hoped — but even his own “gross” counting method leaves him short, at 184,000. For years, we had to watch Governor Branstad’s bogus job count tracked on the official nonfarm jobs spreadsheets provided by Iowa Workforce Development. You might remember: The Governor set a goal for 200,000 new jobs in five years. We didn’t come close — 104,500 net new jobs from January 2011 through January 2016. Everyone wants new jobs, but it was clear for a long time the goal was unrealistic. And it was a distraction for those of us who work with such data carefully, as we do each month in our Iowa JobWatch report. Nevertheless, the Governor’s people concocted a way to count jobs that no elementary arithmetic teacher would sanction — leave out the job losses. So IWD added a line to the official sheet, for “Gross Over-the-month Employment Gains.” And that way, the Governor claimed, he made it with a couple of months to spare. In fact, at IWD’s budget hearing in November, the Governor asked IWD Director Beth Townsend to back up her slideshow to bolster the claim with the media present. A few months later, it looks like we should back up that slideshow once again. The jobs data have now gone through their regular annual review, and the numbers show something different. 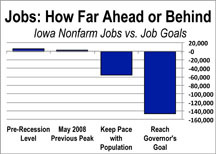 Yes, we all want more jobs in Iowa, better jobs, more sustained job growth. But we also want the facts treated properly. Is it too much to ask for the Governor or IWD to acknowledge publicly that the “mission accomplished” claims were wrong? When we see the news release, we’ll be sure to pass it along. That we don’t have a chance of reaching Governor Branstad’s ambitious jobs goal is not surprising, because our long-term pace of growth is far too slow. To read the headlines, you might not know we actually lost jobs the last two months. In fact, we’ve lost jobs in three of the last six months. 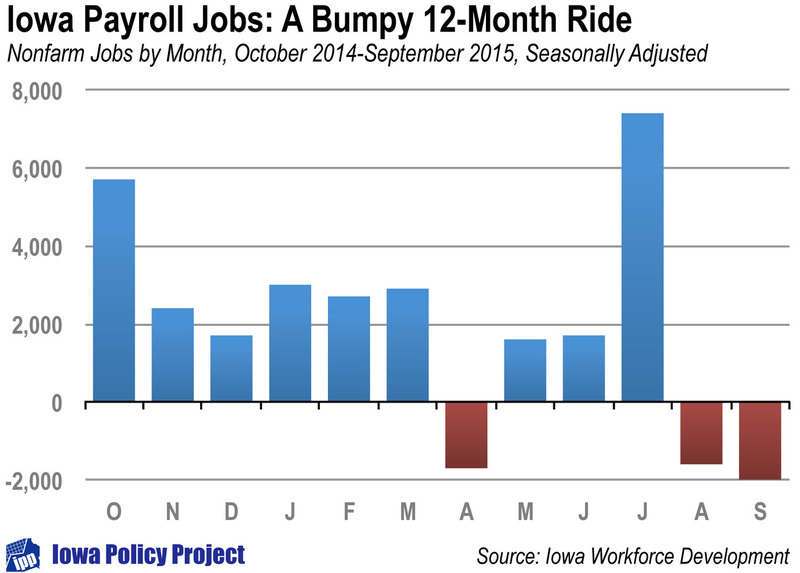 Our monthly Iowa JobWatch report offers context you don’t get from official news releases. Overall, we continue to have stubbornly and staggeringly slow job growth in Iowa. We are only about halfway to the ambitious job goal set by Governor Branstad when he sought Terrace Hill in 2010 — 200,000 jobs in five years. Through 56 of those 60 months, Iowa’s economy has added only 97,400 jobs. That we don’t have a chance of reaching his goal is not surprising, as the long-term trend of 2,000 or fewer jobs added per month, which has held through his term, is far too slow a pace for the job growth that the Governor promised. For the state to be trumpeting a sixth-lowest unemployment rate really misses the job picture in Iowa — which is neither one of sweetness and light nor of gloom and doom, but one that demands a little more critical thinking about the challenges that face us. How do we encourage more, and better, jobs in Iowa with sensible public policies that do not squander our state revenues on subsidies for companies to do what they would do anyway? Given that the population of Iowa has grown, it makes sense that more jobs need to be added to keep up. Our job deficit is almost 48,000. Iowa’s up-again, down-again job picture is looking up again, at least for now. The May numbers from the state show an increase of 6,200 jobs. Coming on the heels of a 3,700 increase in April, this marks the first two-month gain since the end of last year, and the increase is the largest since last October. One-month results, however, do not tell the whole story of what’s happening in the state economy and the job market. Over the past year, Iowa has averaged a gain of about 2,100 jobs per month, which is a modest pace. 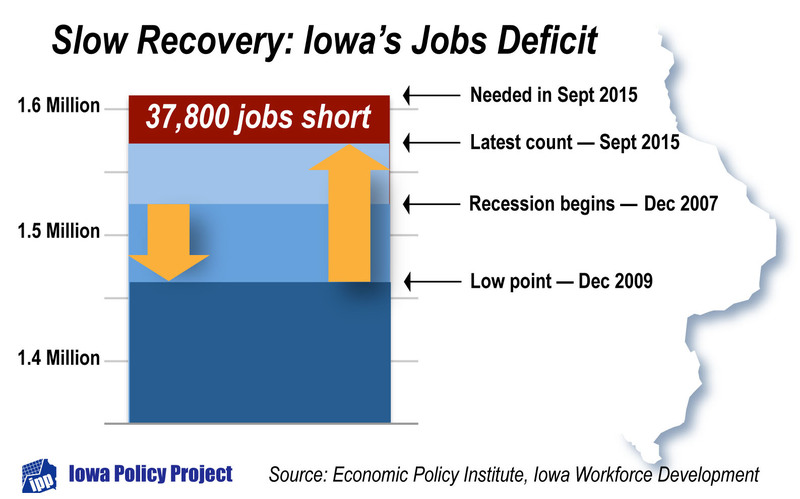 At this rate it would take about three years for Iowa to completely recover from recession losses. Given that the population of Iowa has grown since the start of the recession, it makes sense that more jobs need to be added to the economy each year in order to keep up with the growing number of people. According to the Economic Policy Institute, 23,800 jobs have been added so far but 71,600 were needed by now to keep up with this growth. This means that there aren’t enough jobs for everyone who wants or needs one — a deficit of 47,800, as shown in the graph above. Why not get rid of the political goal and focus on a realistic economic goal: the job growth we would need to bring down unemployment and keep pace with the growth of the labor market. As of the latest count, we are 55,100 short. This week we were treated (?) to the latest bizarre count provided by Governor Branstad’s administration on how many jobs he has created. The Governor is claiming 160,600 jobs already created since he took office, and it’s nowhere close to reality, if for no reason other than the fact that he’s only wanted to count job gains and ignore the losses. * But even then, the number is inflated. So, class, let’s all take out our abacus and our slide rule and try to come up with the same number. On second thought, let’s not. Let’s get past the politics on job numbers and just count ’em ourselves. A pencil will do. As you’ll recall, the Governor promoted a goal of creating 200,000 jobs in five years. He took office in January 2011. We start with 1,475,900 — the number of nonfarm jobs in Iowa in January 2011, according to Iowa Workforce Development. (Find IWD’s spreadsheet here.) 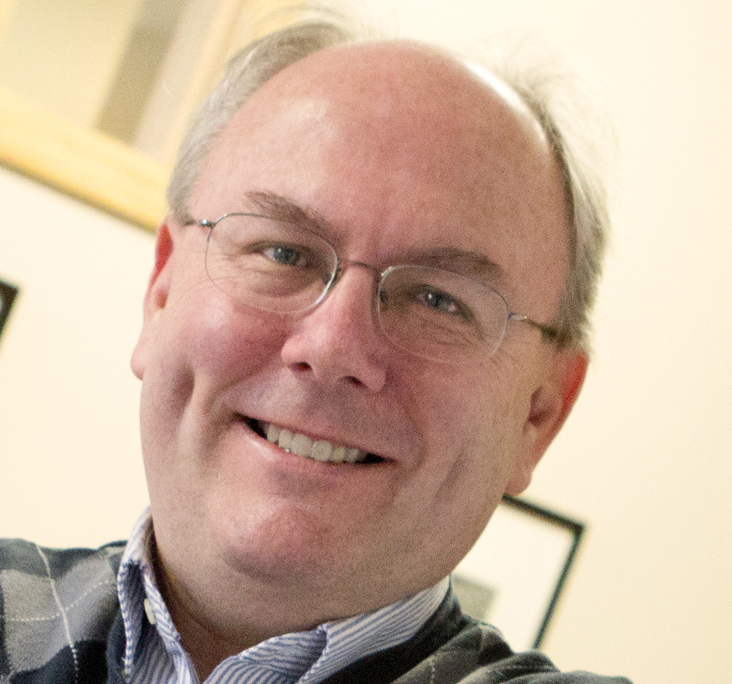 The latest data, which are preliminary and might be adjusted, put that number at 1,530,300 as of June 2013. That’s a net increase of 54,400 jobs. To reach 200,000 jobs by January 2016, the Governor’s goal, Iowa would have to add 4,700 jobs per month for the next 31 months. IPP’s latest JobWatch report shows we have not kept that kind of pace in Iowa over the last decade. In 2013 the average net gain has been 2,400 a month, which is higher than usual. Why not get rid of the political goal and focus on a realistic economic goal: the job growth we would need to bring down unemployment and keep pace with the growth of the labor market. As of June, we are still 55,100 jobs short of this basic threshold. But that’s a more manageable number than the 145,600 left to meet the Governor’s goal, and probably a more meaningful one. Governors and state legislators have only so much impact on the overall health of a state economy to influence its job performance; there are much greater forces at work. In the end, the issue for Iowa families is not as much a Governor’s goal as it is whether the economy is producing the number — and quality — of jobs necessary to maintain and improve all Iowans’ standard of living. But we didn’t raise the issue about the job count. Others have. So as long as Iowans are going to be looking at it, we’ll help them to monitor it accurately. * The Governor’s count of jobs already produced, 160,600, is far above even the number you’d accurately compute if you avoided counting job losses. Iowa Workforce Development has added a line on its nonfarm jobs spreadsheet leaving out the job losses and counting only gross jobs added, month by month, since January 2011. For what it’s worth, that number is 112,700 — about 48,000 behind what the Governor’s office was claiming Wednesday, and more than twice the actual net increase of 54,400. Depending on which goal you choose, we’re anywhere from 4,100 to 155,100 from meeting it. The graph below offers one way — actually, four ways — to look at the latest nonfarm job numbers in the context of history and job goals for Iowa. As of February, we’re 4,100 behind where we were at the start of the recession in December 2007, and 7,200 behind Iowa’s peak nonfarm job level in May 2008. However, Economic Policy Institute analysis suggests that those historical numbers don’t give an apples-to-apples picture for how well the economy is producing jobs to meet the demand for jobs — that you need to factor in growth in the population. 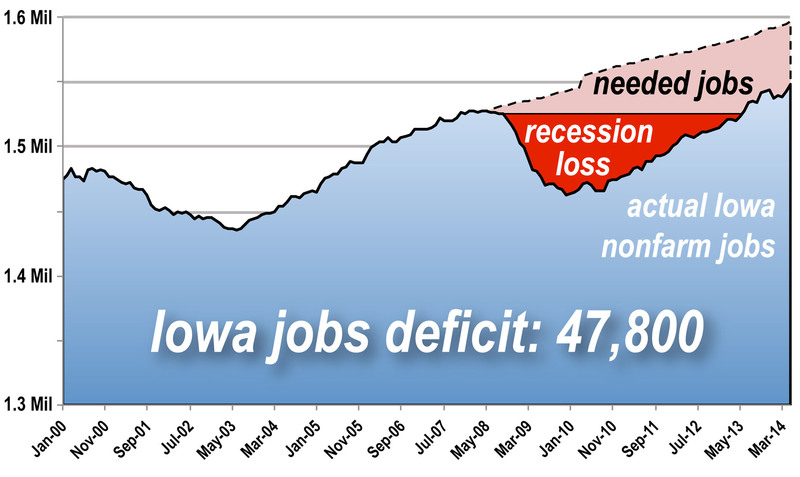 When that is done, Iowa still has 60,900 to go to reach where we were before the recession. Yet another number to consider is Governor Branstad’s goal of creating 200,000 jobs in five years. Since his term started in January 2011, Iowa has produced a net total of 44,900 jobs, which works out to a pace of 1,800 net new jobs per month. At that pace, the state is well off what is necessary to reach the Governor’s goal — 4,400 per month for the remaining 35 months of the five-year period. As we point out in our monthly Iowa JobWatch report, the overall job numbers do not tell the full story about the job climate in our state. 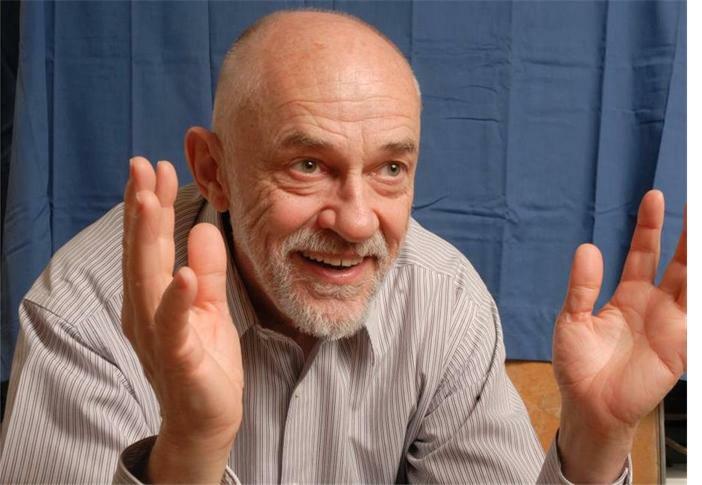 One thing those monthly numbers do not disclose is any detail about job quality — whether jobs gained or lost are full-time or part-time jobs, or are permanent or temporary positions, or pay well, or offer health and/or retirement benefits. For more, see our latest Iowa JobWatch report and also The State of Working Iowa 2012.